In 2003 Smith’s Motor Boat Company decided to launch a new marketing initiative which would set their visitor-based businesses up for success into the next decade. 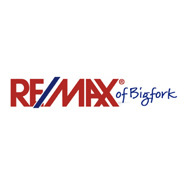 They partnered with us and the results have been fantastic. 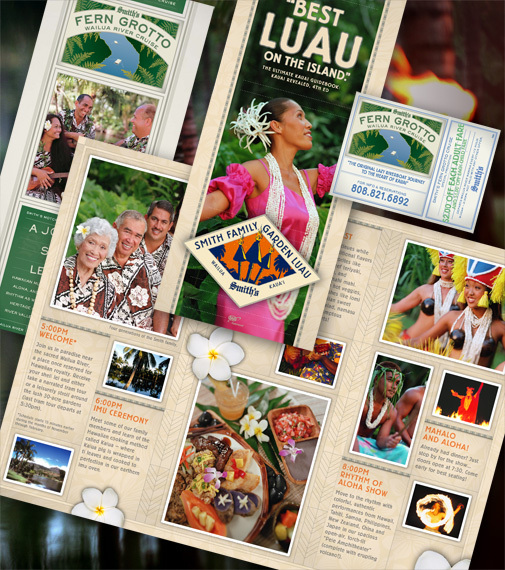 We devised a four-pronged approach to their brand to showcase Smith’s four core products: The Smith’s Family Garden Luau, The Fern Grotto Wailua River Cruise, Smith’s Tropical Paradise (botanical garden), and Smith’s Wedding in Paradise. Through their efforts with us and numerous other partners, the Smith’s Family was awarded the SBA’s first-ever “Top Family Business in the Nation” for 2005. Delicious Design’s help was invaluable. Rebranding our businesses has allowed us to experience exceptional market share resulting in significant growth in luau attendance. This web site is actually four web sites in one. Their businesses all work to support and drive traffic to one another, and also allows you to purchase tickets online, or make plans for your special wedding day. 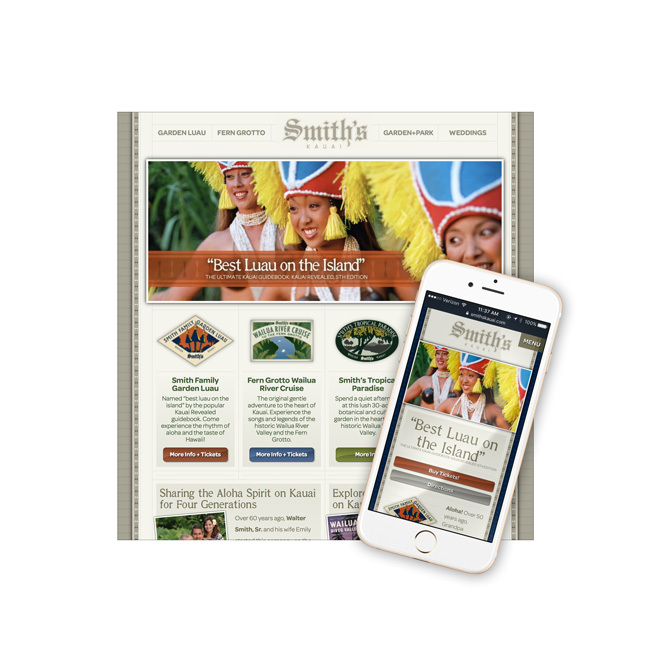 We had been monitoring mobile usage on the Smith’s Kauai website for the last few years and when these visitors reached a threshold of 20% of all traffic, we knew it was time to create a mobile phone optimized website design. As of Spring 2013, over 38% of website visitors to the Smith’s website are using mobile devices—and that’s a trend we see continuing into the future. 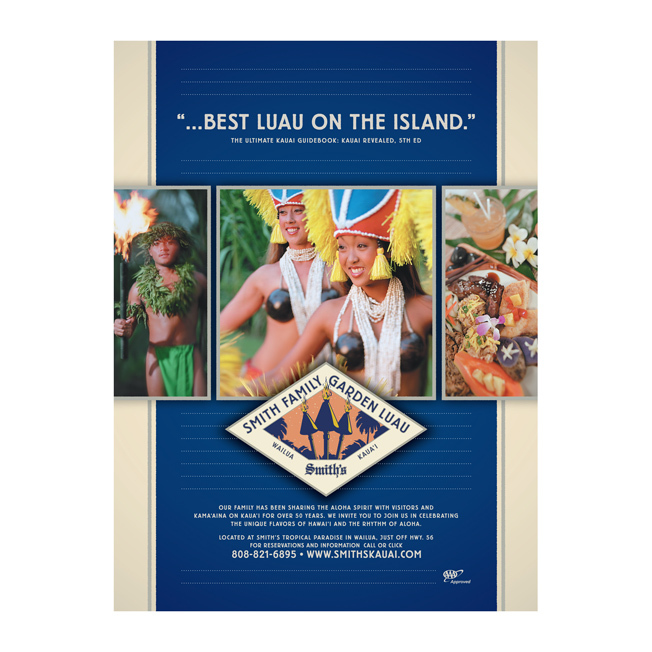 Full Page Luau Advertisement. How can anyone resist beautiful Tahitian dancers? If you’ve got ‘em, flaunt ‘em. Besides being the best luau show on the island, their food is pretty amazing as well. 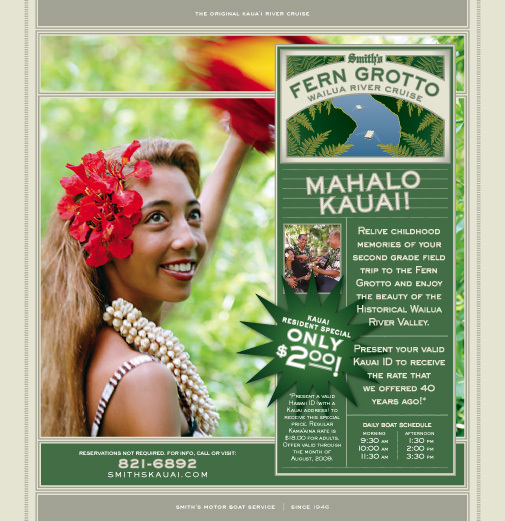 This image showcases the synergy that has been attained between the Luau service (brochure) and the Fern Grotto River Boat Tour service (ads and rack card). The Smith’s family is known for giving back to the community, and this ad is just one example. 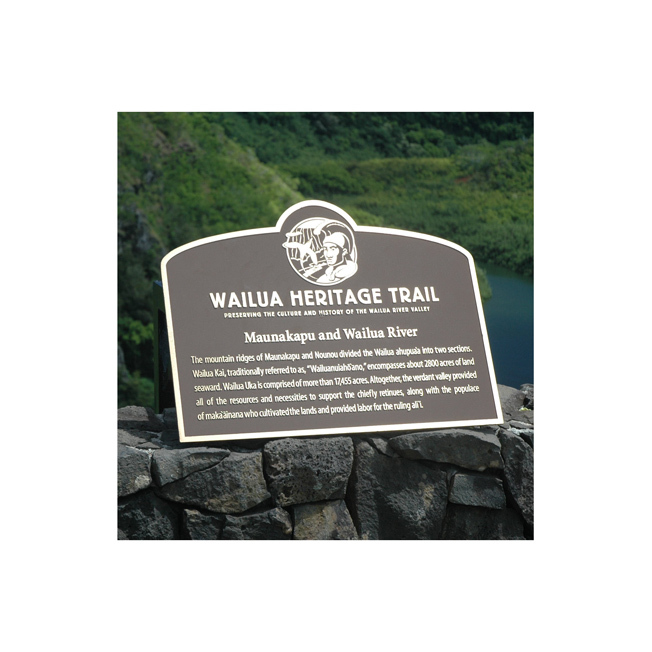 This signage system was designed to assist visitors to the historical Wailua River Valley of Kauai in understand the historical significance of the cultural site that they were viewing. There are nine markers in the system, and the project was partially funded by the HTA (Hawaii Tourism Authority). Both the sign in the foreground, and the larger sign in the background were design by our agency and then fabricated and installed by one of our favorite vendors, Gizmo Grafix. After the “Smith’s Motor Boat Services, Inc.” umbrella brand was approved, we drilled down to each of the unique services that they offered. 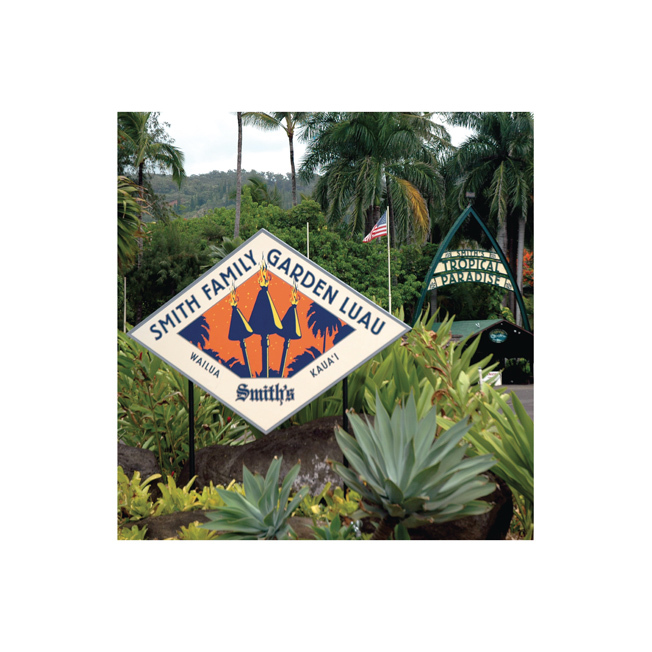 The two logomarks shown here represent: Smith’s Family Garden Luau and Smith’s Fern Grotto Wailua River Cruise. They also have a wedding business and botanical garden which are not included here.